The images below are rocks that were brought back from the moon. They were viewed under the National Optical DC5-420T digital stereo microscope. 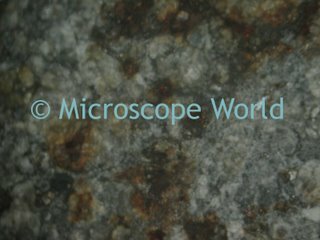 The images were captured with the built-in camera at 40x magnification. This is Breccia, a rock that is made up of angular fragments of minerals. Breccia rocks have many different origins including sediment, tectonic, igneous (formed by magma), impact and hydrothermal. This Breccia rock from the moon was probably an igneous Breccia. 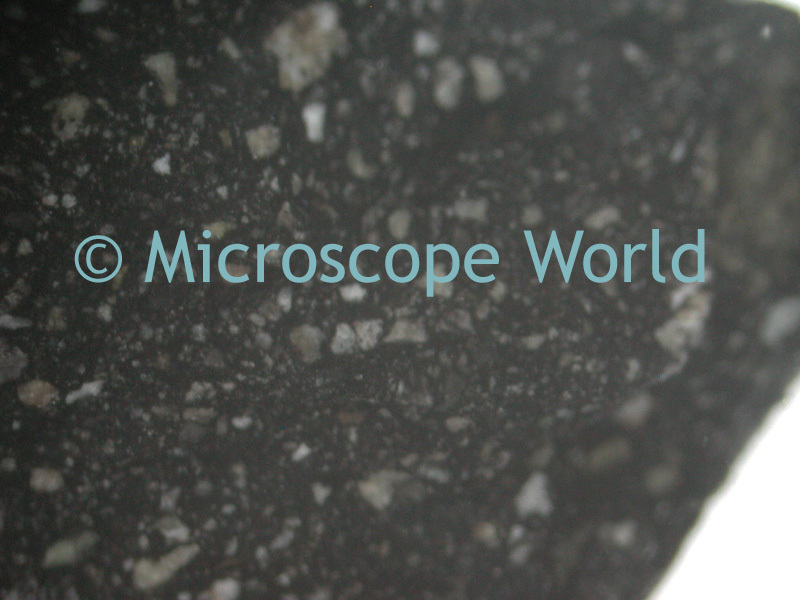 This moon rock is Anorthosite, an igneous rock characterized by a predominance of plagioclase feldspars (minerals), and a minimal mafic component. Mafic refers to a rock that is rich in magnesium or iron.